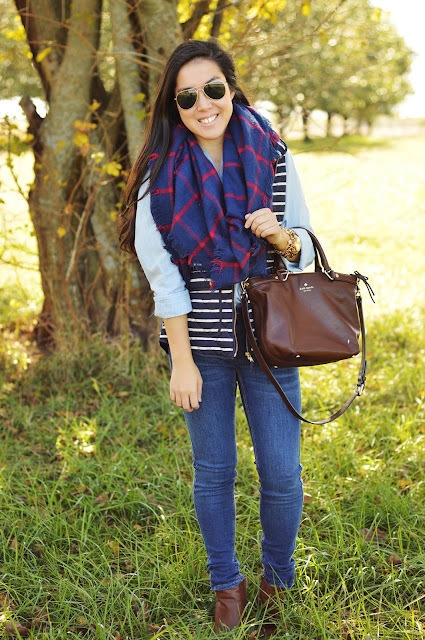 Like any #BasicBlogger or #BasicWhiteGirl I love blanket scarves and puffer vests. And once the temps drop you can bet that I've drug all of mine out. 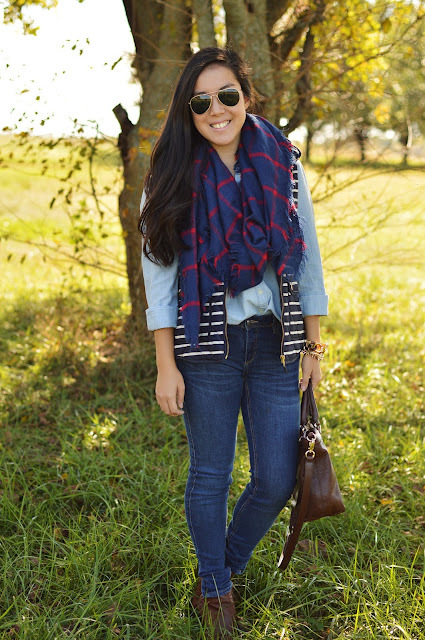 I recently picked up this navy and red window pane blanket scarf from Francesca's and it's easily one of my favorites. It's soooo soft and on the thinner side which I like. 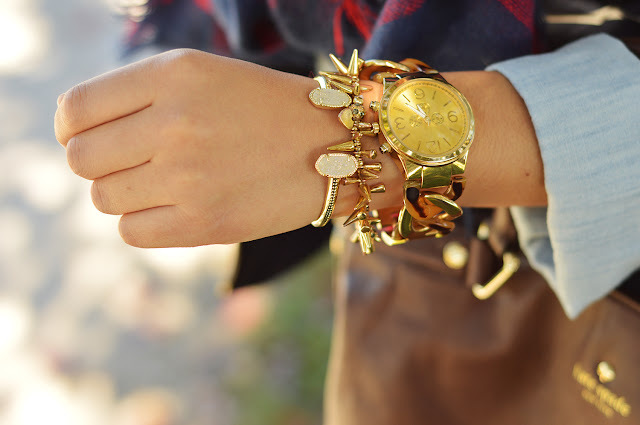 It pairs well with everything and adds the perfect pop of color to an outfit. And my puffer vest is a dupe for the J.Crew one. I picked this one up last year from TJ Maxx but I know I've seen a zillion boutiques online carrying them. Anyone notice the almost obnoxious amount of blue that I'm wearing? #GoRoyals. Let's pretend that's intentional. Haha! This outfit is not only stylish but comfy and surprisingly warm! 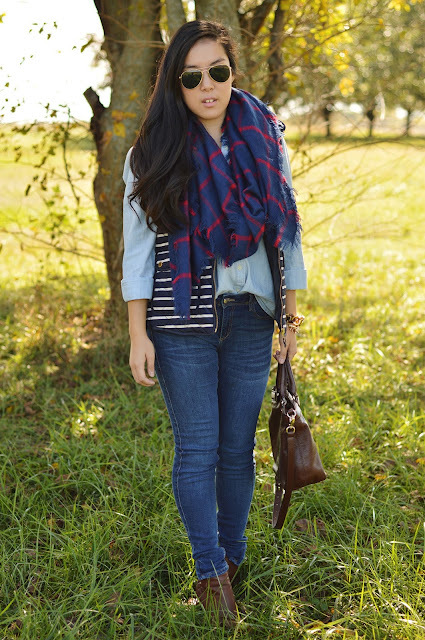 The blanket scarf and vest really do keep you cozy. Perfect for a day of shopping or heading to the pumpkin patch! 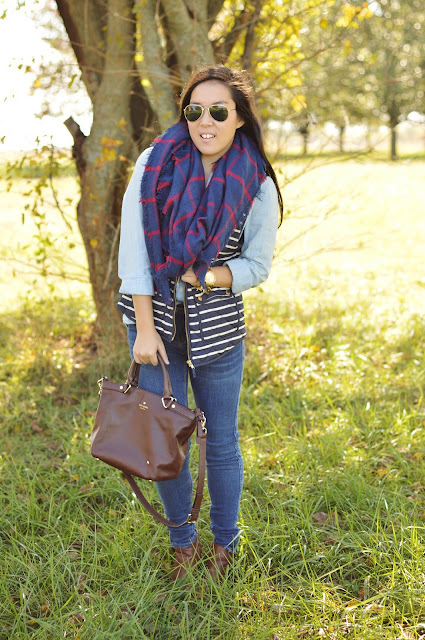 Do you love the blanket scarf and vest obsession like I do? How do you wear them? Leave me a comment sharing!